In recent times, applications are based on open source technologies which can be easily ported to any web-supported platform viz, Android, Windows, and Firefox OS etc. Since the foray of Firefox OS in the market, open web app development has flourished more and the open web community is increasing. Xoriant has been a development partner in India with Mozilla for creating numerous HTML5 based Firefox OS applications with a dedicated team for development and supporting. This immense knowledge and experience led to development of an accelerator called Xoriant Application Kickstarter. Xoriant Application Kickstarter is a combination of modular, pluggable, re-usable components for creating open web apps, specialized for Firefox OS app development. A lot of out of the box UI components of this accelerator aids Xoriant team in rapid development of open web apps including Firefox OS apps. The accelerator has vastly simplified the development process, shortened the release times, enhanced product quality and improved team confidence in building these applications. This offers a competitive advantage to Xoriant for acquiring more projects in this realm and even rapidly executing them. Since it is easily adaptable to other web platforms, it has helped Xoriant in developing applications for its projects on other compatible platforms. The Kickstarter employs multiple top-of-the-line front-end technologies viz. 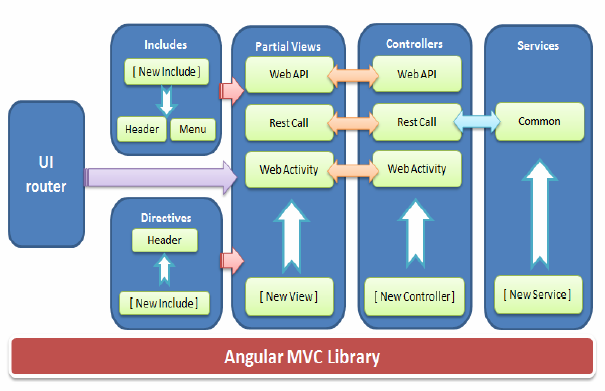 Angular, Twitter Bootstrap, Node, NPM, Bower, Gulp, and Browser Sync to achieve the rapid development.